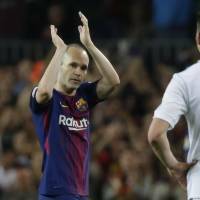 KOBE - Vissel Kobe’s head of player development Atsuhiro Miura said Wednesday no deal has been struck to bring star Barcelona playmaker and Spain international Andres Iniesta to the J. League club. Miura said reports originating in Spanish media that the 33-year-old, considered one of the best midfielders of all time, was bound for Vissel on a deal worth €25 million per year were inaccurate. “I am surprised at the amount of money reported. Honestly, that doesn’t strike me as being realistic,” Miura said. Miura reportedly accompanied Hiroshi Mikitani, CEO and chairman of online shopping giant Rakuten, which owns Vissel and is the jersey sponsor of Barcelona, on a trip to Europe to watch the “El Clasico” match between the Barcelona and arch rival Real Madrid on Sunday. Mikitani’s trip was ostensibly about a business partnership with Barcelona. “If (Iniesta) actually were to come, he would be the best player. But it’s not realistic,” Miura said. 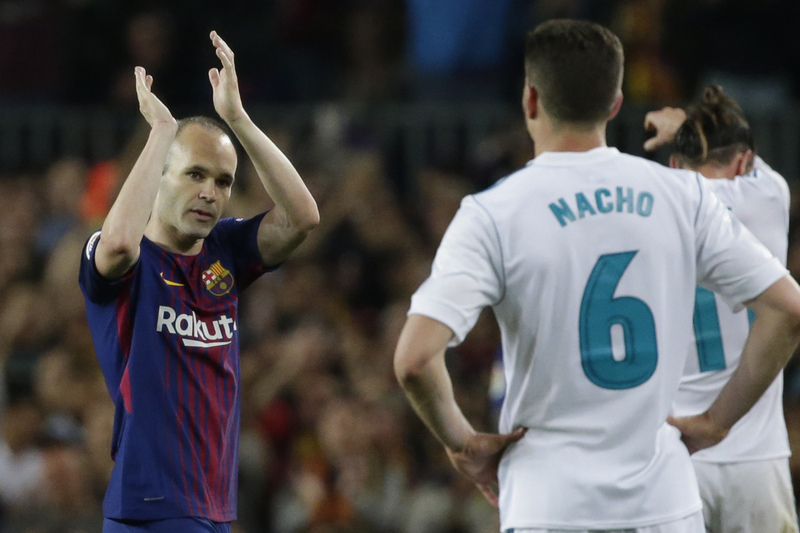 Iniesta, who scored the winning goal for Spain in the 2010 World Cup final against the Netherlands, tearfully announced last month he will leave Barcelona at the end of the season after 22 years with the Spanish club.